If you happen to own a house with an avocado bathroom, woodchip wallpaper, lime green paint work and some rooms with strip lighting, its seems that selling your home could prove very difficult! Findings suggest that home improvements currently add £31,000 to a property but only of the right taste. A Barclays Mortgage study established that 62% of 2,000 people surveyed said an avocado coloured bathroom suite was the biggest turn-off in a home followed closely by woodchip wallpaper and stone cladding at 54%. 'It's fascinating to see such a large appetite for home improvements in the UK. The freedom and flexibility this allows homeowners when adapting their properties is clearly a big draw and one that I hope continues. 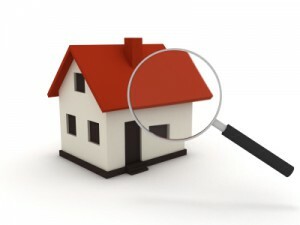 It’s not just the interior that comes under scrutiny when talking property, the exterior is even more important! According to the survey painting your house lime green is the most off putting colour. Are you struggling to sell your home because of your interior or exterior has one or more of the following dislikes? If so, would you consider a improving the appearance to sell your home quicker?